There are so many blessings we all have. Be sure to take the time each day to reflect on all that you have to be thankful for. 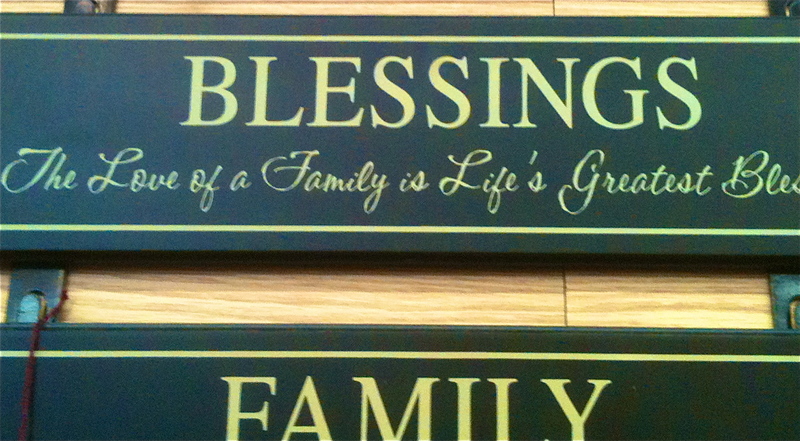 We are all so very blessed to have love around us with family and friends. We are blessed for so many reasons and I am sure if you give it a brief moment you can think of a lengthy list of things you are thankful and grateful for. Remaining in a constant state of gratitude no only lifts your spirit but also keeps us appreciative of all that we have both small and large. For those of you that are going through challenging times and may feel that things are super tough reflect on the good your life has at this time. You may be on the hunt for a job or looking to pick up more hours at work, however, you can be thankful for your health, your life, your loved ones, the fact that you have two arms, and two legs that function and can take you anywhere in life. Be thankful and appreciate all things! There is so much to be thankful and grateful for at all times regardless of your circumstances.